R-22, also called HCFC-22, has been a refrigerant mainstay for many years. However, R-22 is now being phased out and non-ozone depleting refrigerant alternatives are being used instead. Ultimately, this will affect the HVAC/R industry in general, and it is definitely relevant information for anyone currently enrolled in refrigeration classes. Aspiring or working HVAC technicians will benefit from learning about new regulation requirements and techniques for replacing R-22. Those who have acquired an EPA license may be especially desirable candidates for employment. As of January 1, 2010, the production and import of R-22 for the use in new units has been banned. However, R-22 may still be used for the service and repair of existing units. To finalize the phaseout, there will be a complete ban on R-22 as of January 1, 2020, which means the production and import of any R-22 will be entirely illegal. Once that happens, the only way to get R-22 will be through recycled or reclaimed options or by finding a supplier who has stockpiled the product. The 2020 deadline for the final phaseout step may seem like a long way away; however, that’s only a mere five years from now. Qualified technicians with refrigeration training will be needed to handle the phaseout process in the upcoming years. As a matter of fact, there are many different alternatives to R-22 that don’t deplete the ozone layer, including: R-134a, R-507, R-404A, R-407c and R-410A. R-410A is the best alternative option for air conditioning applications, while the best alternative for refrigeration applications are R-404A and R-507. These substitutions are better because they are more efficient and environmentally friendly; should the HVAC/R system develop a leak, the coolant won’t damage the earth’s ozone layer and contribute to global warming. Modern HVAC/R units also include other energy efficiency features, such as programmable thermostats, variable speed fans and fan-only settings. Anyone in HVAC/R sales will generally advise their clients about which option best serves their particular needs. A total system replacement means the removal of every component of the existing system, including the outdoor unit, the indoor unit, all the lines and all the electrical wiring as well. This gives the customer an up-to-date system for the lowest usage cost and provides them with a long-term solution. Replacing the indoor and outdoor units while reusing the existing infrastructure could mean a reduction in initial installation costs, and the customer could expect to see improvements in performance, energy efficiency and usage costs, without having to incur the expense of replacing the entire system. The expression “drop-in” refrigerant is actually a bit misleading. This wording makes it sound like you can add a new alternative coolant to an existing R-22 system; however, this is not correct. Modifications must be made to the existing equipment before alternative coolants can be used. All of these options will require a licensed HVAC/R technician to replace or repair any given system. He or she should have completed the necessary HVAC training and know about the proper procedures and regulations. 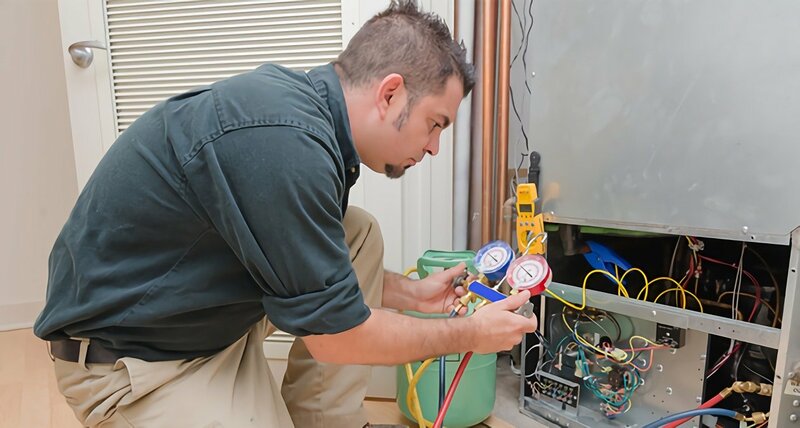 Hiring an HVAC/R professional is necessary to ensure compliance with the law and to reduce the risk of malfunction and injury. It’s illegal to intentionally release CFC and HCFC refrigerants into the atmosphere. According to the EPA, all recovered gases should be sent to an EPA-certified refrigerant reclaimer and only EPA-certified reclaimers can sell the used refrigerant to a new owner. Replacing and recovering R-22 can be a hazardous process, and should only be undertaken by a trained HVAC/R technician. If you would like more information about careers in HVAC/R, contact RSI. Located in Phoenix, AZ, we offer a wide variety of programs and flexible class options to fit just about any need. We can help get your HVAC career started.